1.Arizona Cardinals: Kyler Murray, QB Oklahoma The consensus #1 overall pick, Murray all but locked up his position following his pro day. He seemingly fits the offense Kingsbury wants to run, leading to a Rosen trade. 2. San Francisco 49ers: Nick Bosa, DE Ohio State Bosa is arguably the best player in the draft, so it comes down to him and Quinnen Williams here. Dee Ford was a good start in terms of adding edge rush talent, but Bosa can complete the line here. 3. New York Jets: Josh Allen, EDGE Kentucky After missing out on Anthony Barr, this team arguably needs an edge rusher more than any other team. Allen can be New York’s Von Miller if developed correctly. 4. Oakland Raiders: Quinnen Williams, DT Alabama Oakland will likely receive plenty of phone calls about a trade down here, but Williams is too good to pass up. With DT not a major need, they could move PJ Hall for a mid round pick. TRADE 5. *New York Giants: Dwayne Haskins, QB Ohio State I’m not buying the rumors going around that New York isn’t interested. It could just be a smokescreen to prevent teams like Washington and Miami from trading up. To secure their player, they trade up a pick much like the Bears did with Trubisky in 2017. 6. Tampa Bay Buccaneers (via NYG): Devin White, LB LSU Losing Kwon Alexander to San Francisco in free agency leaves a hole at LB. White is an athletic LB that could help negate the impacts of Alvin Kamara and Christian McCaffrey. 7. Jacksonville Jaguars: Jawaan Taylor, OT Florida This pick likely comes down to Taylor or Hockenson. Cam Robinson is coming back at the LT spot, but the ability to select their future RT could be too good to pass up. 8. Detroit Lions: Montez Sweat, DE Mississippi State Signing Trey Flowers was a great start, but there’s still work to be done. If Sweat’s heart condition isn’t an issue as expected, this would be a smart move. TRADE 9. *Washington Redskins: Drew Lock, QB Missouri Washington was awarded 3rd and 5th round compensatory picks and may have to jump Denver for Lock. Washington’s 6-3 start last year probably tells them they won’t be in range for a future QB in 2020 if they wait. 10. Denver Broncos: Devin Bush, LB Michigan This pick likely comes down to Lock, White, or Bush. Brandon Marshall won’t be brought back so adding Bush to a defense that already boasts Miller/Chubb/Harris gets a big boost. 11. Cincinnati Bengals: Ed Oliver, DT Houston The top linebackers are gone, so Cincinnati opts to go with BPA here. Oliver’s size is similar to that of 30 year old Geno Atkins, who he can learn under before he replaces him. 12. Green Bay Packers: TJ Hockenson, TE Iowa Preston and Za'darius Smith were brought in to aid the pass rush, so the attention can turn to the offense at #12. Hockenson is a great blocker and even better catcher, something Rodgers hasn’t had from a TE since Jermichael Finley. TRADE 13. 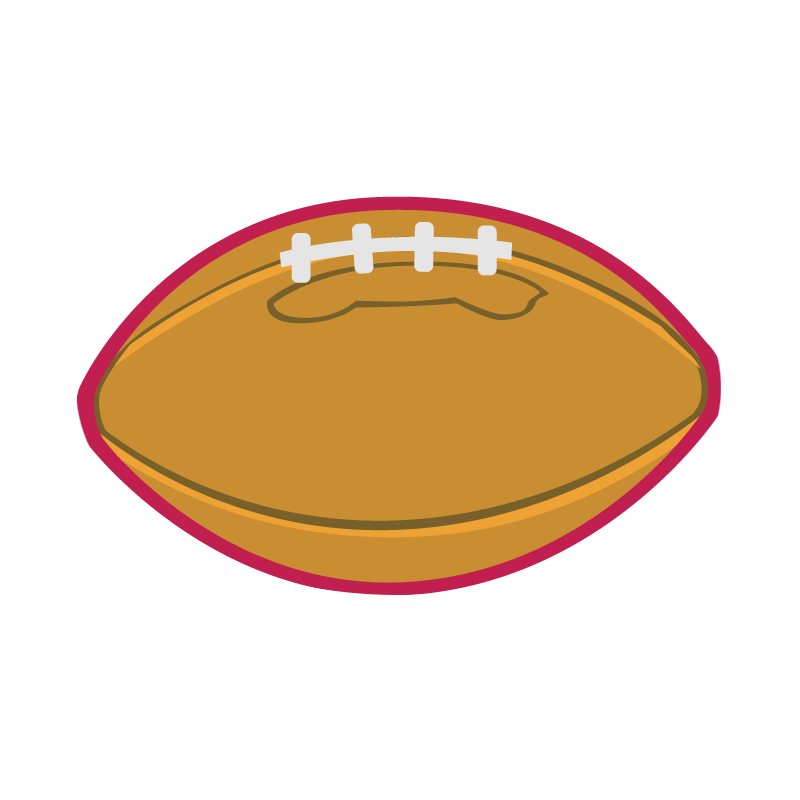 *Pittsburgh Steelers: Brian Burns, DE Florida State Pittsburgh needs a corner badly, but Miami could be looking to move down, and the Steelers are now equipped with 10 total picks. Burns can help put pressure on Baker Mayfield and Lamar Jackson. 14. Atlanta Falcons: DeAndre Baker, CB Georgia A bit of a surprise here, but there is plenty of defensive line talent in this class. Dan Quinn has mentioned that corner is one of the positions they’re focusing on right now, so Baker could be the pick to solidify their secondary with Trufant/Oliver already in place. 15. Buffalo Bills (via WAS): DK Metcalf, WR Ole Miss Cole Beasley, John Brown, and Andre Roberts were good signings to add to a group of Zay Jones and Robert Foster. That still might not be enough, as Buffalo needs to surround Josh Allen with weapons. The Bills may like is value at 15 more than 9. 16. Carolina Panthers: Jonah Williams, OT Alabama Cam Newton couldn’t even finish last season due in large part to his offensive line. Williams can either replace Matt Kalil at LT or start out at guard. 17. New York Giants (via CLE): Clelin Ferrell, DE Clemson QB is checked off the list, so New York can focus on filling the DE hole they’ve had since the JPP trade. Ferrell is good value and also helps lessen the loss of Olivier Vernon. 18. Minnesota Vikings: Rashan Gary, DE Michigan Gary is one player I could see fall come draft night. His college production didn’t match up to the hype coming in, but Minnesota has shown they’re willing to gamble on talent if the value is right. 19. Tennessee Titans: Noah Fant, TE iowa Fant is exactly the kind of weapon Marcus Mariota needs. This pick could lead to a potential Delanie Walker trade where a team like New England comes to mind. 20. Miami Dolphins (via PIT): Cody Ford, OT Oklahoma If the Tank for Tua rumors are true, Miami would be smart to start building the pieces needed for him to succeed. They add some picks and add Ford who could replace Ja'wuan James. TRADE 21. *Kansas City Chiefs: Greedy Williams, CB LSU This defense is to blame for Kansas City not playing in the super bowl, namely the secondary. Mike Mayock and Oakland seem interested in Williams at 24, so they should be aggressive and jump their division rival. Seattle could take a discount to trade down as they only have 4 picks. 22. Baltimore Ravens: Mack Wilson, LB Alabama CJ Mosley leaving for the Jets creates a big hole at linebacker. New GM Eric DeCosta continues the Ozzie theme of taking Alabama players. 23. Houston Texans: Andre Dillard, OT Washington State Coming into the offseason, CB and OT were the positions of emphasis for Houston. Roby and Boddy-Calhoun solved one of those issues, so Dillard is brought in to protect Watson. 24. Oakland Raiders (via CHI): Byron Murphy, CB Washington The need for an edge rusher is still there, but the value isn’t. Oakland has addressed almost every hole they have on defense except corner, where they could look to select Gareon Conley’s running mate at the same pick two years after. 25. Philadelphia Eagles: Josh Jacobs, RB Alabama Selecting a RB high isn’t necessarily the Howie Roseman way about drafting, but the Eagles have shown interest and the need there is undeniable. 26. Indianapolis Colts: Christian Wilkins, DT Clemson This is a bit of a no brainer for the Colts. This defense was vastly improved last season and should be glad to see Wilkins here who falls further than expected due to the simple fact that DT’s aren’t drafted high. TRADE 27. *New England Patriots: Dexter Lawrence, DT Clemson New England now has a hole at TE after the Gronk retirement, but they have 12 picks total and are known to move up and down the board. Lawrence fills an even bigger need, but they may need to move ahead of the Chargers to do grab him. It comes down to if they think surrendering a 3rd round pick to upgrade from someone like Tillery is worth it. 28. Los Angeles Chargers: Taylor Rapp, S Washington Jahleel Addae was let go at the beginning of free agency so someone to put back there with Derwin James could be needed. Rapp fits this defense and is arguably the best safety prospect in this draft. 29. Seattle Seahawks (via KC): Charles Omenihu, DE Texas Rapp went a pick before, and Seattle has shown interest. Outside of their tendency to pick defensive lineman early, they’ve also shown that they’ll pick players earlier than expected. 30. Green Bay Packers (via NO): Nasir Adderley, S Delaware Adrian Amos was brought in to fill one of the safety spots, but the other options currently on the roster are less than ideal. Adderley could help round out this ‘new look’ defense. 31. Los Angeles Rams: Garrett Bradbury, OG NC State Rodger Saffold left for Tennessee so a replacement there is needed. Gurley is a bit banged up right now, so protecting him and CJ Anderson is a must. 32. Oakland Raiders (via NE): Irv Smith Jr., TE Alabama Jon Gruden can’t help but use one of these picks on offense. Oakland lost out on Hockenson and Fant after losing Jared Cook to New Orleans so Derek Carr’s future security blanket is the pick. I was under the impression that whoever got Foles was more likely to wait a year to draft a QB. If it were between Hockenson/Metkalf/J.Williams who would you expect assuming they wouldn’t trade up?